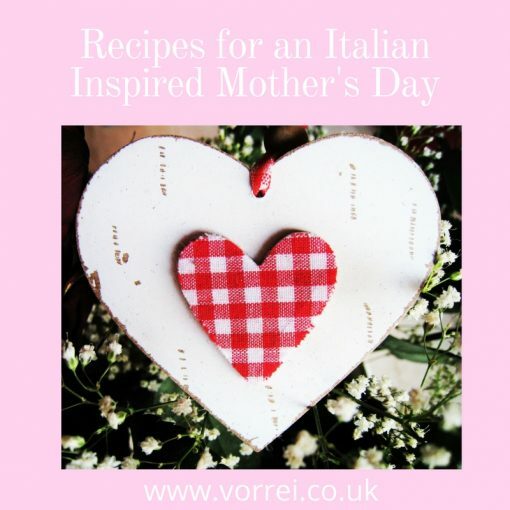 “La mamma è sempre la mamma”: ‘Mum is always Mum,” so goes an Italian saying – a fitting quote to start our Mother’s Day inspired blog post. The mother figure is one of the most important since ancient history, dating back to the Palaeolithic age where Mother Goddesses represented nature and fertility. The female figure has always been deeply connected with motherhood and the miraculous and unique ability to give life and this has come to be celebrated in various cults over ages. We probably owe the popularity of the celebration of modern Mother’s Day to Anna Jarvis, the daughter of American peace activist Anna M. Jarvis, who made it her personal mission to create a national celebration to honour all mothers the year her mother died. The meaning of this celebration started spreading around the world and its date was adapted to the already existing festivities of other countries. In the UK Mother’s Day falls on the fourth Sunday of Lent which corresponds to Mothering Sunday. This is a religious festivity celebrated by Catholic and Protestant Christians much earlier than modern Mother’s Day. Back in the sixteenth century this was the day when the faithful returned to their Mother Church to attend service on Laetare Sunday. This was usually a time when servants were allowed to go back home, which means many of them were reunited with their families on this occasion. That is probably the reason why there is a connection between this day and the celebration of one’s mother. Over time these completely different holidays overlapped and, today, all over the world, people honour their mothers by pampering them with cards, chocolates and special meals. 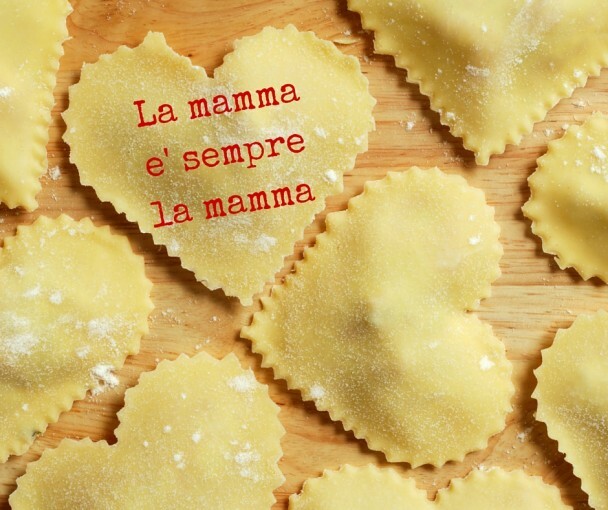 Show Mamma how much you love her with a yummy Italian meal! Mothers are always on the line, 24/7, all year long, fulfilling the needs of the whole family. So, on this special day, how about treating “Mamma” to a fabulous Italian style lunch/dinner, to show appreciation and love? Pair up with Dad or siblings and prepare this easy but delicious meal we have put together for this particular occasion! Let’s begin with a savoury starter made of special Italian flat bread coming from the Emilia Romagna Region: the Piadina. You can buy this bread ready-made or alternatively you can use wraps! Choose an organic Piadina for the best taste and quality. All you have to do is top two or three piadine with some fresh Caprino Cheese (or any goat’s cheese) and drizzle some Black Olive Patè over them to give that extra, mouth-watering flavour. Decorate your plate with the Patè too to give it a classy, gourmet finish! While your pasta is cooking, lightly brown the chopped onion in some olive oil in a large pan. Add the cut-up asparagus you will have prepared beforehand and a pinch of salt and cook for about 15 minutes. Drain the pasta; pour it in the pan and sauté for a couple of minutes. Add the tomatoes at the very last second in order to warm them up in the pan but without softening them. 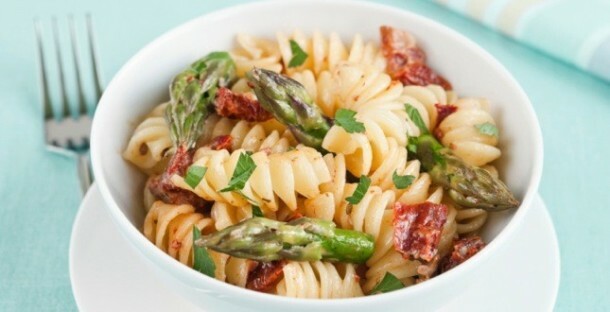 Top your pasta plates with a dash of fresh ground pepper and a couple of dried tomatoes at the side. Blend the sugar with the four egg yolks while keeping aside the whites. 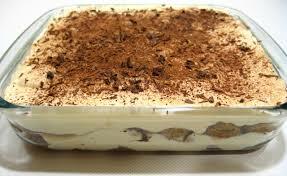 When the mixture is rich and foamy, add the mascarpone cheese and mix all with folding movements. Beat your whites to soft peaks and add to the mixture. Add the chocolate chips now and set aside. Put your coffee in a medium sized bowl. Dip your biscuits in the lukewarm coffee for just a few seconds and lay them side by side in a large serving dish. Spread a thick layer of the chocolate chip cream over them then repeat alternating the layer of coffee-dipped biscuits and cream. Finish with a touch of cocoa powder or chocolate flakes to decorate. Now make “Mamma” sit down and enjoy Mothers Day to the very last bite!